Dealing with children in a divorce. Dealing with children in a divorce. Here are some suggestions on the best ways to keep children from becoming involved. Parents need to exercise caution about what they discuss in the presence of the children. 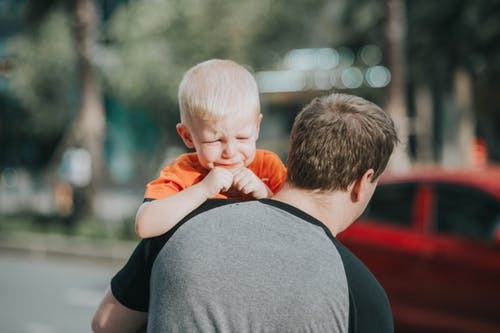 While most parents know that telling the children the details of their failed marriage or divorce conflicts is a bad idea, they may not exercise sufficient caution to keep the kids from hearing about it in other ways. Children listen when their parents are on the phone or are talking to other adults, and they may understand a great deal more than the parents realize. As you go through the divorce process, it is natural and healthy to talk with friends and family about the experience and to seek advice and counsel from people you trust. What is appropriate to discuss with friends and family is not usually appropriate to discuss with or in the presence of the children, especially if it involves criticism of the other parent, which is more often than not the case. In addition, the children should not hear about conflicts over money or a parent’s fear that they will not have enough money when the marriage ends. The divorce itself is scary enough without letting children in on the stressful details.